In my book on Super7 Operations (Super7 Operation – the Next Step for Lean in Financial Services), I describe the development of Super7 Operations – Lean and Operational Management with small autonomous teams. One of the crucial things in Super7 Operations is that there is a daily goal for each small autonomous Super7 team – one that they can reach by working together, by helping each other. In the first departments where Super7 Operations has been introduced successfully, this goal was to work TITO: Today-In, Today Out. All customer requests that are received today are processed today -finished today, the customer shouldn’t have to wait. The team’s common goal is: finish all customer requests that you receive today or at least those that you receive up to one hour before closing time. The fluctuation in ‘demand’ isn’t buffered with inventory, but is answered with sufficient flexibility in capacity. Recently, Super7 Operations was introduced in several operational departments where the nature of the work made it impossible or extremely impractical to work TITO. Request that take more than one day to process, in one instance. In another, extreme peaks and lows, with almost all requests of one month coming in in one single batch (Naturally, batches are evil (to summarize one of the principles of Lean to the extreme). But sometimes batches happen). We have found that it is possible to work with other daily goals than TITO. This requires more sophisticated planning, for one, to translate the total demand into daily goals. Working with goals like TITO+5 doesn’t work, as we experienced. The team needs to have a clear goal for each day, which is higher when demand is high and lower when demand is low. Only then you get the commitment, improvement and cooperation that you expect from Super7 Operations. This entry was posted in Lean, Operational Management, Teamwork & cooperative models and tagged Lean, Super7, Super7 Operations on December 22, 2013 by M.R. van Dijk. At this moment, Super7 Operations (link) is applied within several operations departments of one of the leading Dutch retail banks. A lot has been learned since. The change from strict daily steering to small autonomous teams –and at the same time keeping all the good things from LEAN and Operational Management – has asked a lot from both the shop-floor employees and their managers. What we noticed is that teams go through several phases, or maturity levels, in their journey towards autonomy. And, team managers need to grow towards supportive leadership and output steering – this too doesn’t happen overnight. When we recognised this, it became clear that a maturity model would be very helpful. With this, the transition can be broken up into smaller, more manageable steps. And, for each maturity level, specific training and coaching can be developed to support both managers and Super7 teams. The maturity model is still a work in progress, and at the moment only available in Dutch. If you’re interested nonetheless, you can request a copy by replying to this post. And, I expect to be able to post an English version of the Maturity Model for Autonomous Super7 Opertions Teams on this site shortly. This entry was posted in Teamwork & cooperative models and tagged Lean, operational excellence, Super7, Super7 Operations, Teams, Teamwork on December 18, 2013 by M.R. van Dijk. A new book on Super7 Operations! 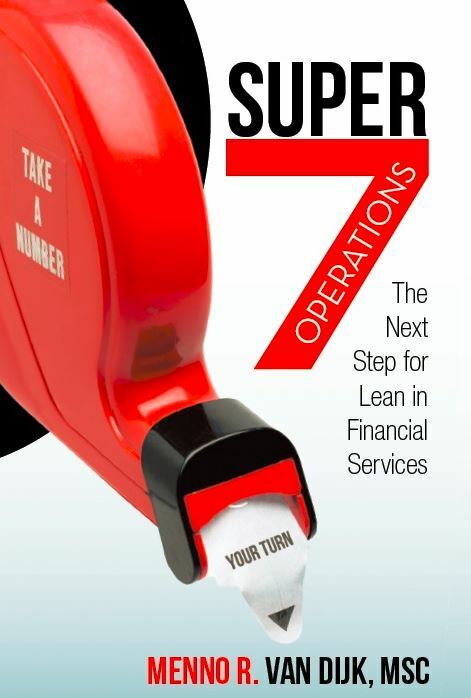 – “To me, Super7 Operations is the logical next step for LEAN in financial services. I’m proud that we developed this innovation within ING. I’m so enthousiastic about it, it would be fantastic if this innovation would spread across the financial world. So much more can be achieved with LEAN than cost reduction alone. LEAN can become the culture within which people truly work together to improve every day. That’s the foundation of Super7. We believe in the abilities of our people, we trust them and give them responisibilities, and we steer on output. This improves the service to our customers. And, LEAN becomes FUN again! I had to write a book about Super7 Operations, to give as much people as possible the chance to learn about it. 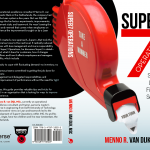 This entry was posted in Lean, Operational Management, Service Excellence, Teamwork & cooperative models and tagged Book on Super7, Menno R. van Dijk, Super7, Super7 Operations on December 11, 2013 by M.R. van Dijk.